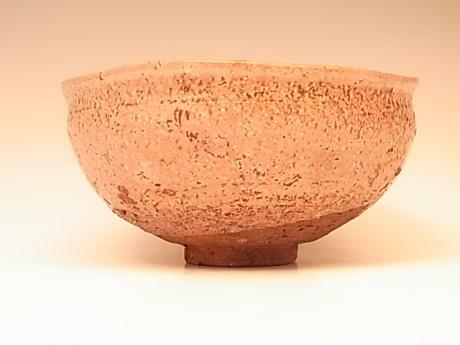 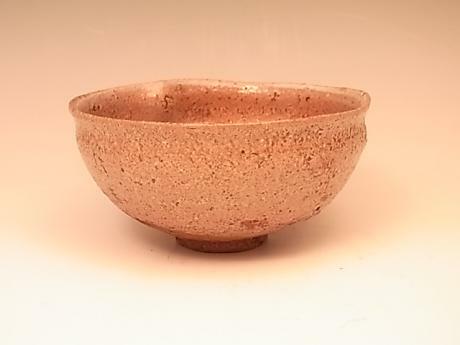 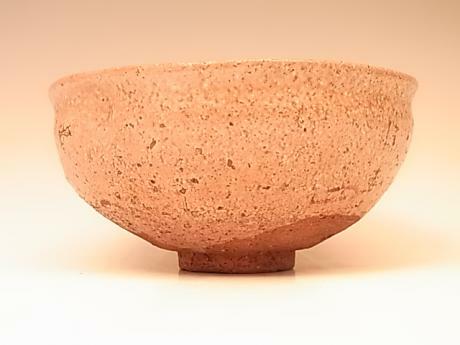 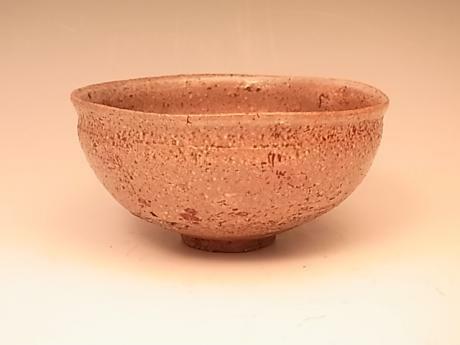 Description: Japan Edo Period Shigaraki-ware teabowl. 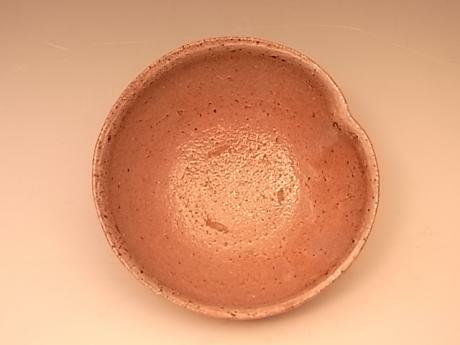 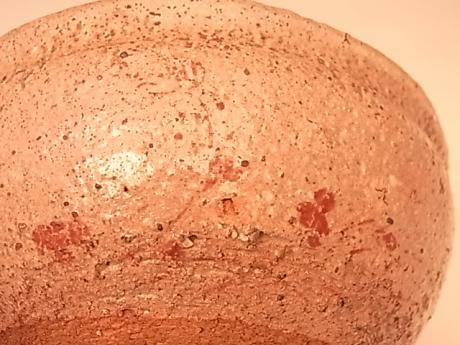 The teabowl has a design painted around the outer side done in red lacquer. 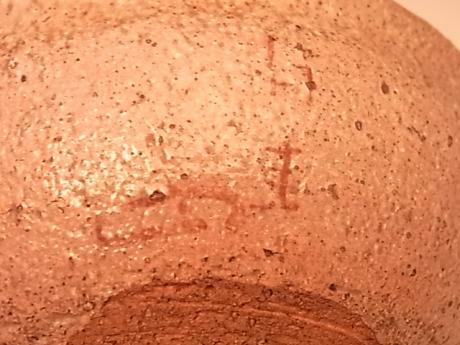 The design has been rubbed, so it's difficult to see clearly. 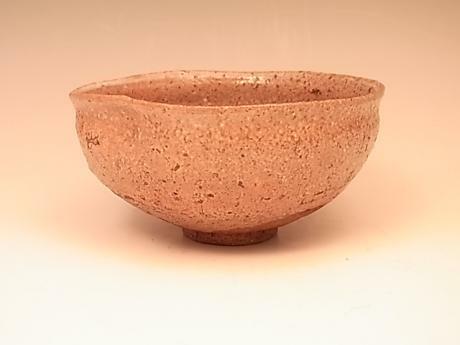 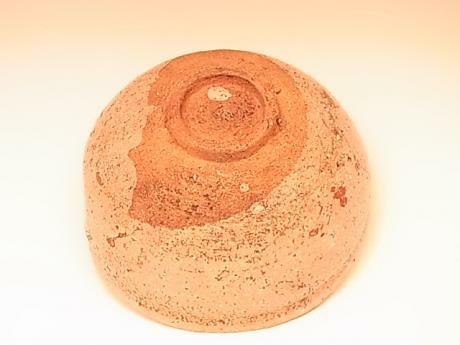 The teabowl measures 5 1/4" in diameter and 2 5/8" tall.